JLupin Platform provides dedicated port for management purposes (TRANSMISSION interface), available on Main Server. It doesn't take part in microservices' invocation or service discovery process. This interface can be used by management tools like JLupin Platform CLI Console, JLupin Control Center or any other that implements management API provided by JLupin Platform. The management tools execute commands on Main Server through TRANSMISSION interface (solid light blue line). 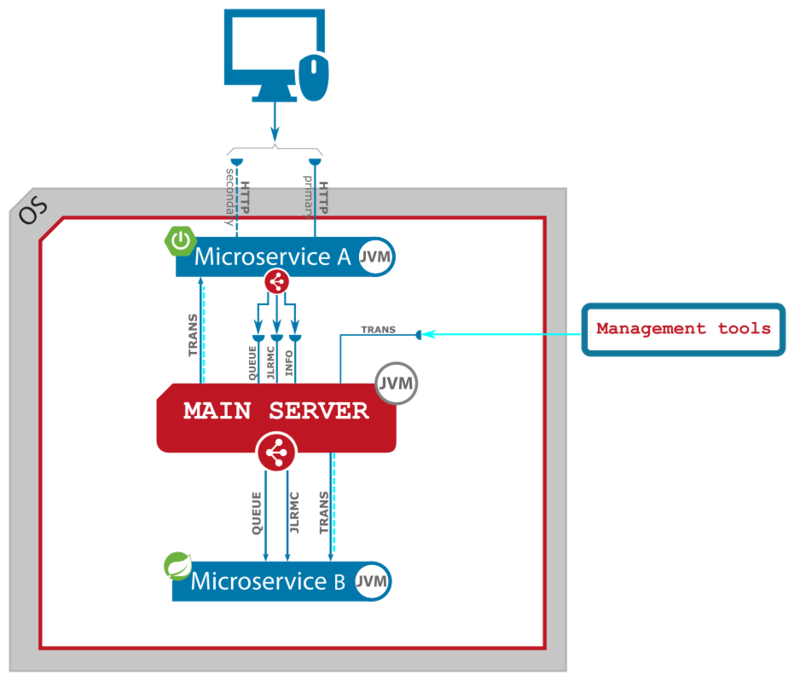 Main Server processes those commands and executes another management commands on microservices (implied from management tool's commands), also uses TRANSMISSION interfaces, available on each microservice (dotted light blue lines).